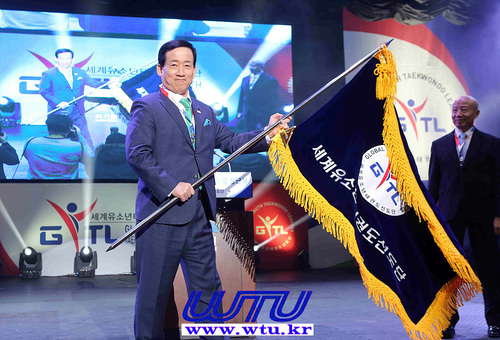 "World Taekwondo Online Competitions" Kimunyong Sport Committee promotes international competitions. 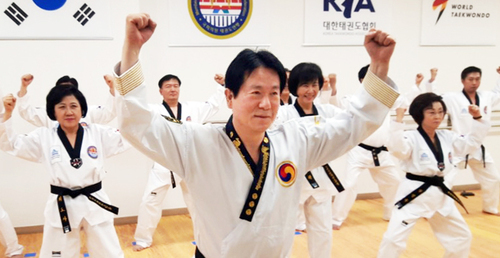 "Excluding kyorugi (sparring), competitions in poomsae, taekwon aerobics, board smashing to be held". Online Taekwondo competitions are planned whereby global Taekwondo practitioners may compete online to test their performance capability. 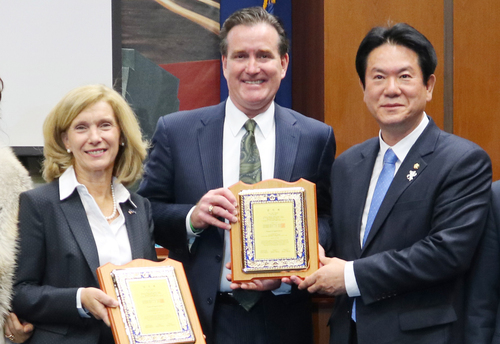 The Kimunyong Sport Committee (KUYSC) announced on January 21, "We have decided to hold the world's first online Taekwondo competition this year." 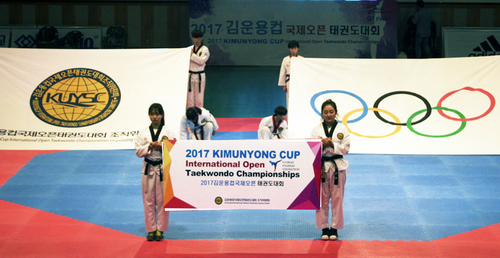 KUYSC’s secretary general Seo Hyun-suk explained, "We are able to conduct competitions in all categories except kyorugi (e.g., poomsae, music poomsae, taekwon aerobics) demonstration. We will announce the competition guidelines in April, then hold the preliminaries (May) andthe final selections (June). 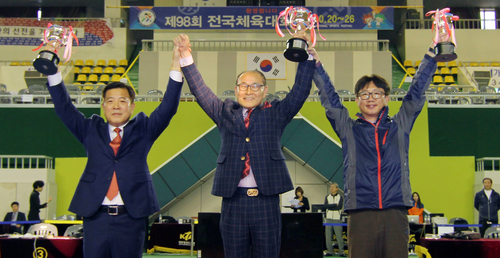 Thereafter, the final competitions will be held during the 2019 Kimunyong Cup International Open Taekwondo Championships." 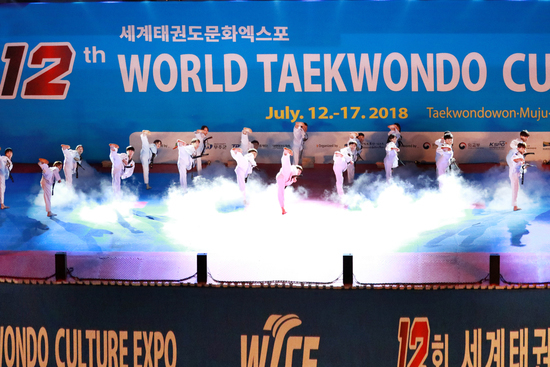 This year's KimunyongCup International Open Taekwondo Championships will be heldat the JangChung Arena in Seoul from July 12. KUYSC envisages founding the online competitions where not only elite athletes but also any Taekwondo practitioners are able to participate in the contests easily and interact online without regard to location. 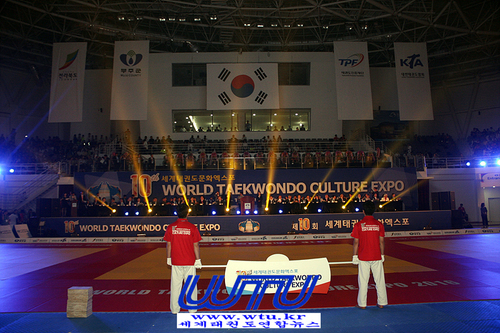 According to KUYSC, upon uploading the match video shot, recorded on as mart phone, on the competition website, participants may enter competitions in accordance with the program, and the winners and the losers will be determined by international judges who are registered with the World Taekwondo. KUYSC added, "By relaying the results of the matches and judges’ scoring results in real time, it will increase the transparency of the competitions and make the most of the actual feel of the stadium." 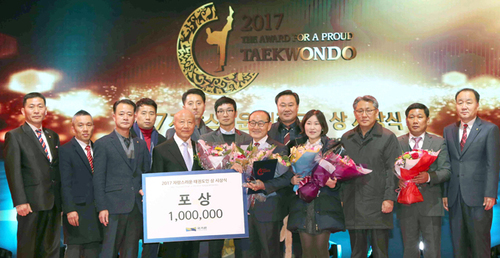 Kim Dong-yeon, chairman of the Korea Taekwon Aerobics Association, said, "The World Online Taekwondo Competition is a competition where all Taekwondo practitioners from all over the world can participate a competition that combines online trends, and a small budget.” He anticipates that Taekwondo's position as a global sport could expand through this event. 사단법인 김운용스포츠위원회(위원장 김혜원, 이하 ‘위원회’)는 18일 오후5시 위원회 사무실에서 회의를 열고, 세계최초 “세계온라인태권도대회”를 개최하기로 밝혔다. 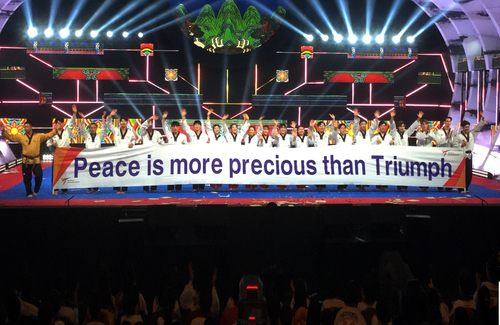 위원회는 “세계온라인태권도대회가 전 세계 태권도 엘리트 선수들뿐만 아니라, 생활체육에 관련한 모든 태권도 동호인을 대상으로 태권도경기에 참여할 수 있으며, 태권도를 통해 쉽게 해외교류를 할 수 있다. 또한 안방에서 경기에 참여할 수 있는 장점으로 한국에 직접 오지 않아도 대회에 참가하는 많은 해외 태권도인들이 있을 것이라 예상되며 온라인태권도대회는 누구나 참여할 수 있는 대회로 만들겠다”고 말했다. 온라인태권도대회는 스마트폰을 활용하여 언제 어디서나 쉽게 촬영하여 대회에 참여할 수 있으며 자동 대진 프로그램으로 경기를 진행한다. 경기는 중계방송 시간에 맞추어 생중계로 진행되며 심판채점을 실시간 생중계를 통해 대회의 투명성을 높이고 실제 경기장 느낌을 최대한 살리는 효과를 줄 수 있다. 프로그램 개발을 한 김동연 사범은 대한태권체조협회 회장, 아시아태권도연맹 경기위원, 한국실업태권도연맹 생활체육분과위원장, 김운용스포츠위원회 경연단장을 맡고 있다. 김사범은 “온라인태권도대회는 1.글로벌로 퍼져있는 세계 태권도인들이 모두 참석 가능한 대회개최, 2.기존 오프라인 영역에서 온라인 트랜드를 접목한 대회, 3.남녀노소 참여 가능한 온라인대회를 통해 글로벌 스포츠 입지 확대, 4.가장 합리적인 운영예산을 통한 세계대회 개최가 가능한 특징이 있다고” 말했다. 서현석 사무총장은 “기존 오프라인 대회 중 겨루기를 제외한 모든 종목(품새, 음악품새, 태권체조, 시범, 격파 등)이 가능하다. 결승전은 김운용컵국제오픈태권도대회때 선보일 예정이다. 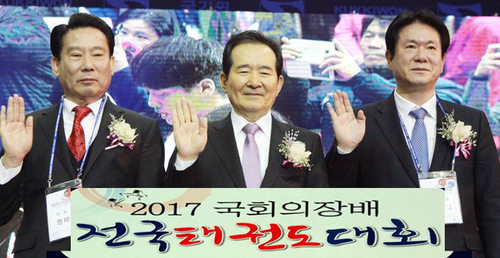 현재 태권도의 위상은 곤두박질 치고있다. 이 온라인태권도대회를 통해 국기태권도의 위상을 한층 더 높일 것이라고” 포부를 밝혔다. 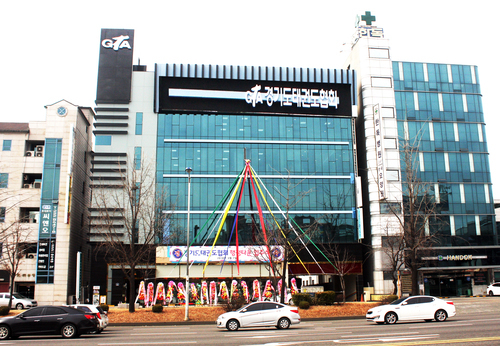 한편, WT(세계태권도연맹) 승인대회인 2019김운용컵국제오픈태권도대회(G1)는 7월 12일부터 장충체육관에서 개최될 예정이다.